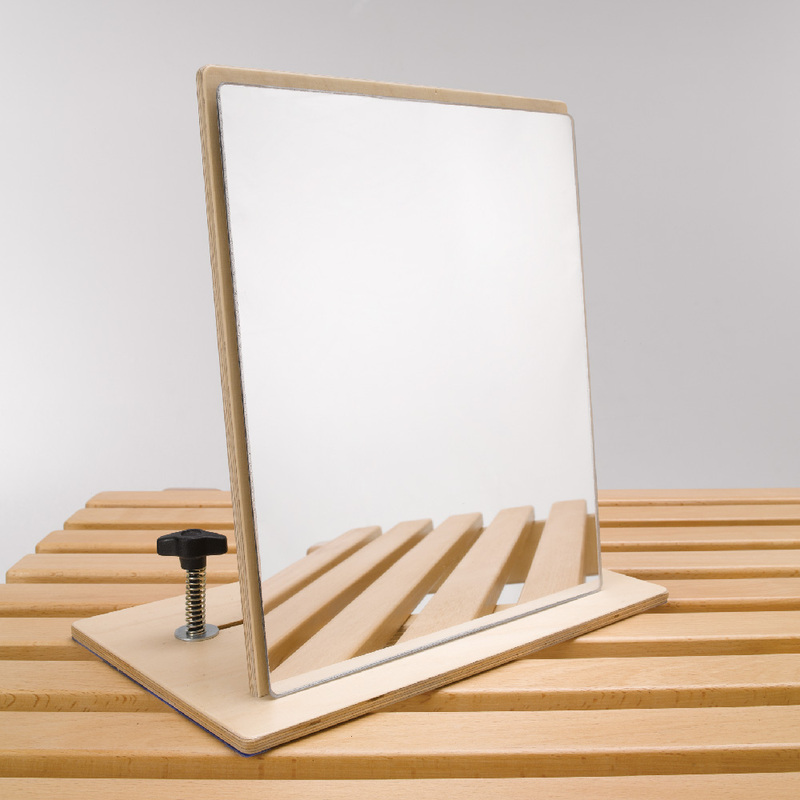 Our quick fix therapy mirror is easy to attach and allows children to see themselves whilst using a plinth. Available in 2 sizes; small (250mm x 200mm) and large (300mm x 200mm). A four way mirror is also available which is 4 small mirrors attached horizontally with hinges.